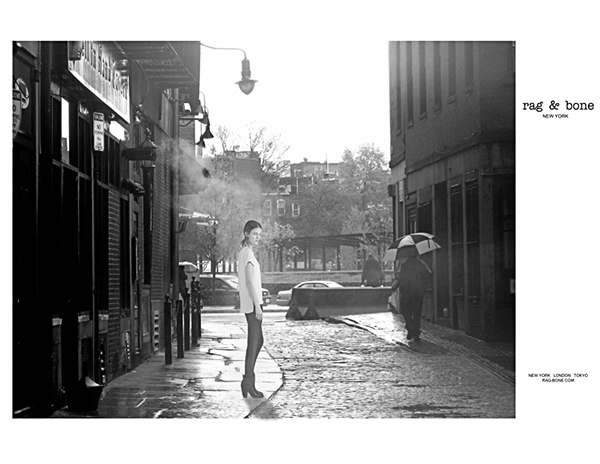 The goal of this project was to create a fashion advertisement using at least three photos found from the web. I choose to create a Rag and Bone Advertisement. I found a picture of downtown Boston for my background and the girl in my image is from a Rag and Bone look book. The final image is the Rag and Bone logo.